Lights, camera, action, dance! 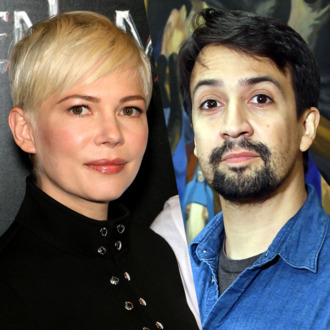 In your latest A-listers-on-TV news from The Hollywood Reporter﻿, Michelle Williams and Sam Rockwell are set to star as the titular characters in Fosse/Verdon, an FX limited series about the entertainment icons Bob Fosse and Gwen Verdon from executive producer Lin-Manuel Miranda. Based on the biography Fosse by Sam Wasson, the eight-episode run will cover the life, love, and creative partnership of director-choreographer Fosse and the legendary Broadway dancer Verdon, and it will include plenty of emphasis on the cost of their success. Dear Evan Hansen’s Steven Levenson wrote the pilot episode and will serve as showrunner, and Hamilton’s Thomas Kail will direct. Rockwell, Williams, Levenson, and George Stelzner will also receive executive producer credit alongside Miranda, with Bob Fosse’s daughter, Nicole Fosse, acting as c0-executive producer.